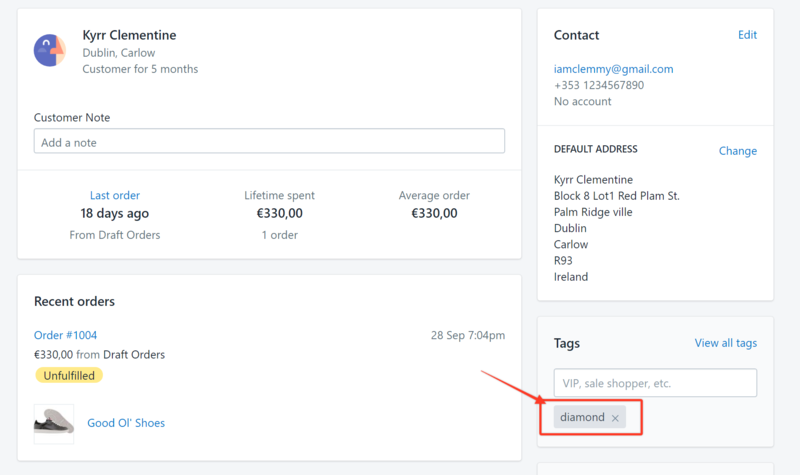 Note: In the example below, we are adding the customer to a discount group called Diamond. Step1. 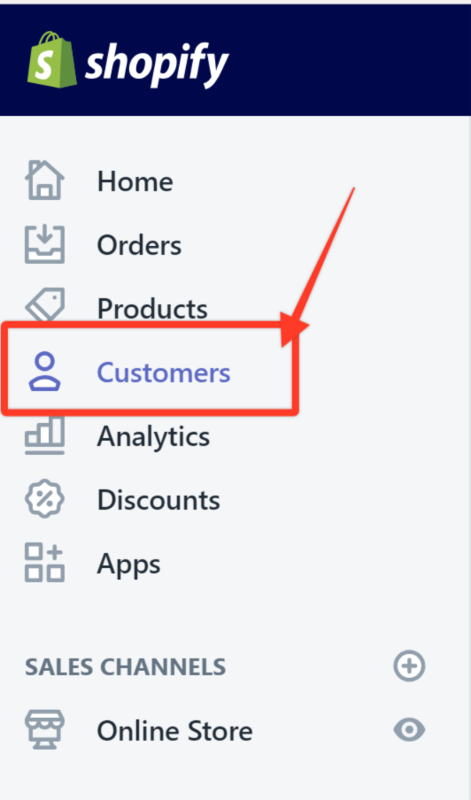 In your Shopify admin, navigate to the Customers section. Step2. Select a customer. In this example, we are choosing the first customer on the list. Step3. 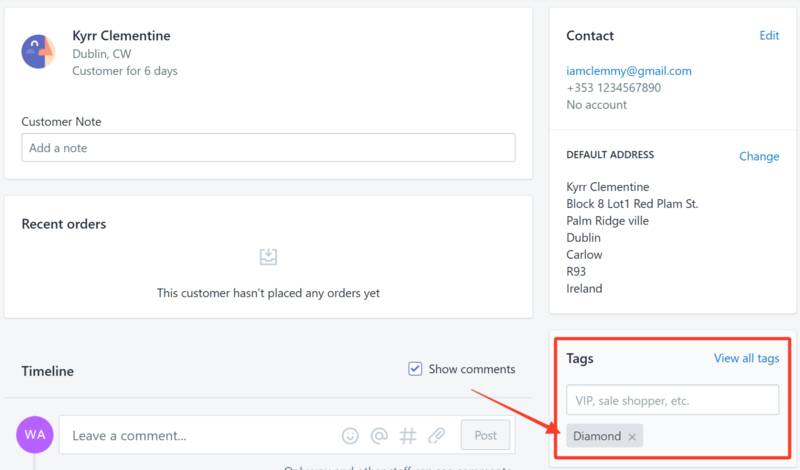 Scroll down to the tags section and choose the tag Diamond. 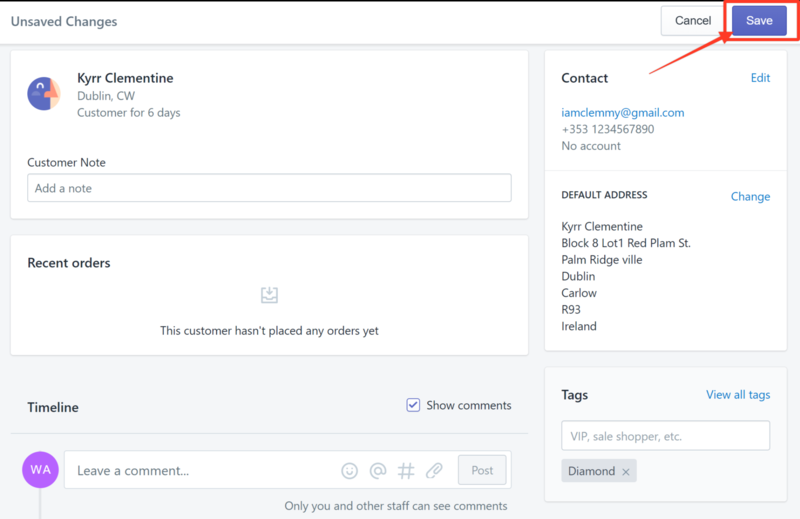 The customer will now see the discounted prices based on his account when he logs into your store. IMPORTANT: Please take note that you must be very careful in typing the tags for the customer. Make sure that you type it exactly the way it is spelled in the discount groups created since this is case-sensitive. Your customer may not be recognized in the event that you have used the wrong casing or spelling of the tag like the example below. The image above shows the wrong casing used, and in this case, the customer will not be recognized.